Hello to you all, apologies to being a bit quiet, I got married on Sunday so the last week or so has been a whirlwind of flowers, organising catering, hair, makeup and celebrations. All went well, we are very happy, but when the new week started my head was still sore, my feet hurt, and we had visitors – cooking wasn’t top of the list. However all was not lost, it’s autumn ( or Fall for my American readers) which for me means slow cooker season. Now I love my slow cooker, and don’t be deceived that they are just for stews- oh no, and I shall show you here. 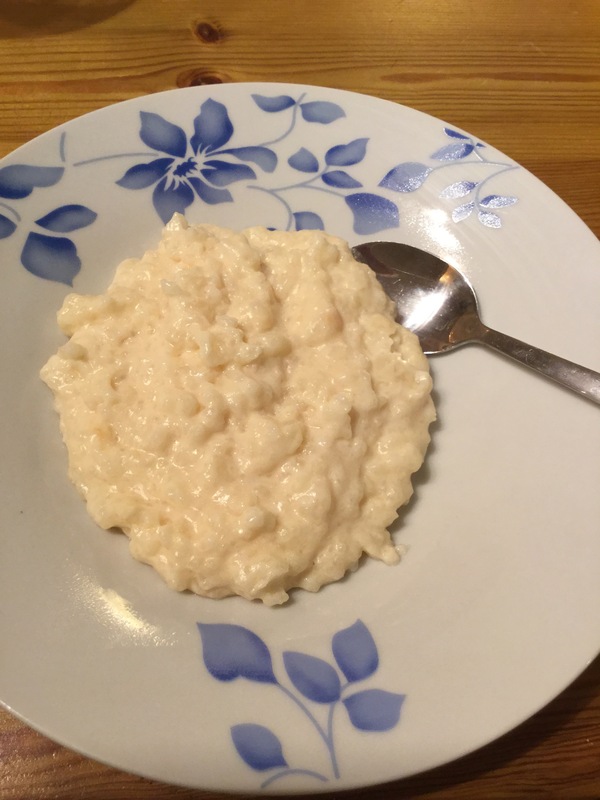 Rice pudding, in 4 hours with no effect ( or skin, I hate the skin). It’s thick and creamy, perfect for the cooler evenings ( and hangovers). 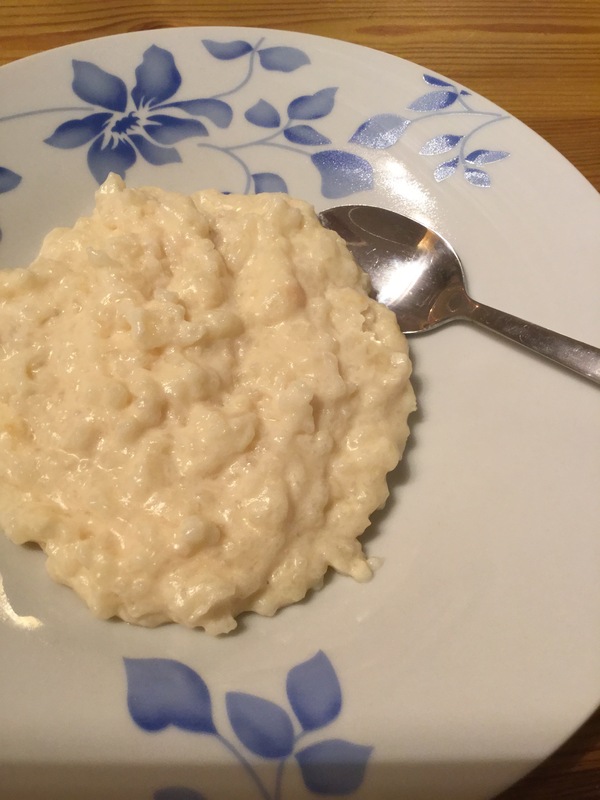 This couldn’t be easier, place everything in your slow cooker, turn on high and leave for 3-4 hours until thick and creamy. Serve and eat straight away. 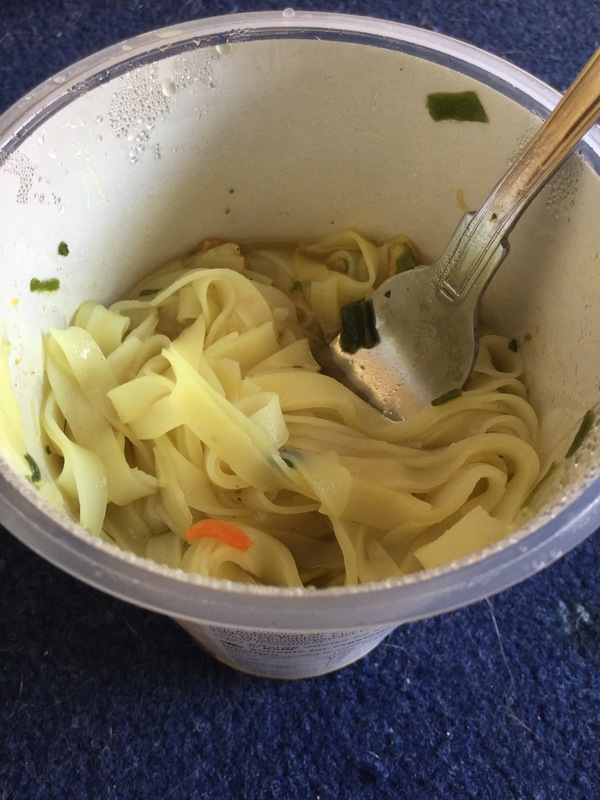 I’ve never been a pot noodle fan, but in fairness it’s been so long now I cannot remember what they taste like. ( I’m assuming I’m not missing much?) 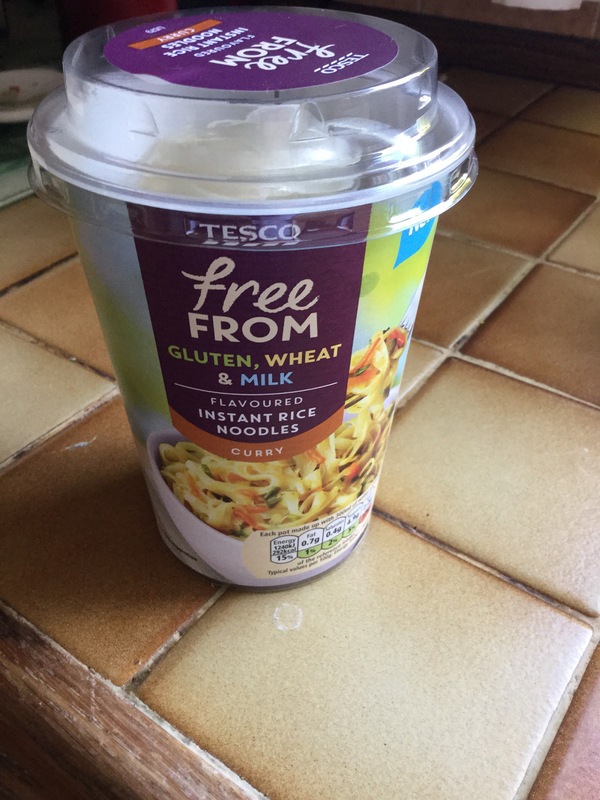 so I was a bit skeptical when I noticed these new instant rice noodle pots in Tesco Free From range the other day, but I was in a rush and thought well why not? They seemed ok for the fat and sugar content, so not too bad for a quick lunch on the go. It’s easy to prepare-empty contents into pot, pour on water, put lid on and then leave for 4 minutes et voila. I was amazed, the cardboard like noodles had transformed into long ribbons of rice noodle, that in fairness looked quite appealing, in a lazy sort of way. My tip is give it a good stir, my first mouthful was horrid, it just tasted bland, but a good mix brings out the flavour. The curry isn’t like a cheap curry sauce flavour either, there is spice, and heat. It’s warming and satisfying all in a mouthful. I have to say I’m impressed, and although I would not want to eat them all the time, as a quick and satisfying lunch option these pots are very good. It’s encouraging to find a savoury product in a free from range that covers other allergies to – these are also dairy free. So thumbs up Tesco, keep up the good work.